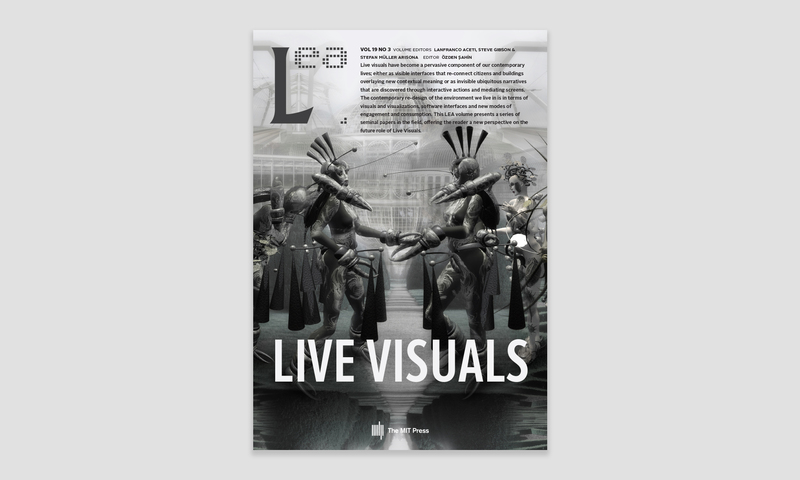 The print issue of LEA Volume 19 Issue 3 Live Visuals is available on Amazon. Live visuals have become a pervasive component of our contemporary lives; either as visible interfaces that re-connect citizens and buildings overlaying new contextual meaning or as invisible ubiquitous narratives that are discovered through interactive actions and mediating screens. The contemporary re-design of the environment we live in is in terms of visuals and visualizations, software interfaces and new modes of engagement and consumption. This LEA volume presents a series of seminal papers in the field, offering the reader a new perspective on the future role of Live Visuals. When Moving Images Become Alive!